Based on seventeen months of ethnographic research among Indonesian eldercare workers in Japan and Indonesia, this book is the first ethnography to research Indonesian care workers’ relationships with the cared-for elderly, their Japanese colleagues, and their employers. 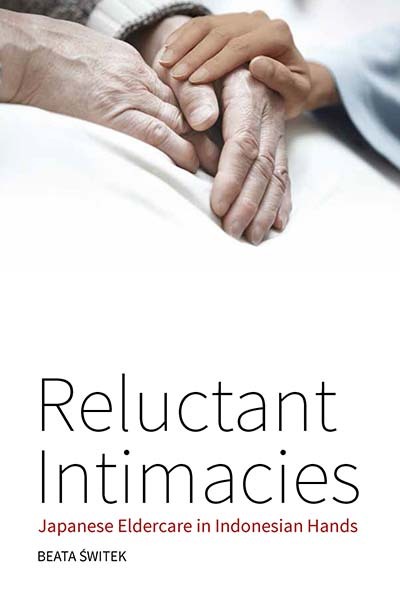 Through the notion of intimacy, the book brings together sociological and anthropological scholarship on the body, migration, demographic change, and eldercare in a vivid account of societal transformation. Placed against the background of mass media representations, the Indonesian workers’ experiences serve as a basis for discussion of the role of bodily experience in shaping the image of a national “other” in Japan. Beata Świtek, PhD, University College London, is a Research Fellow at the Max Planck Institute for Social Anthropology in Halle, Germany.